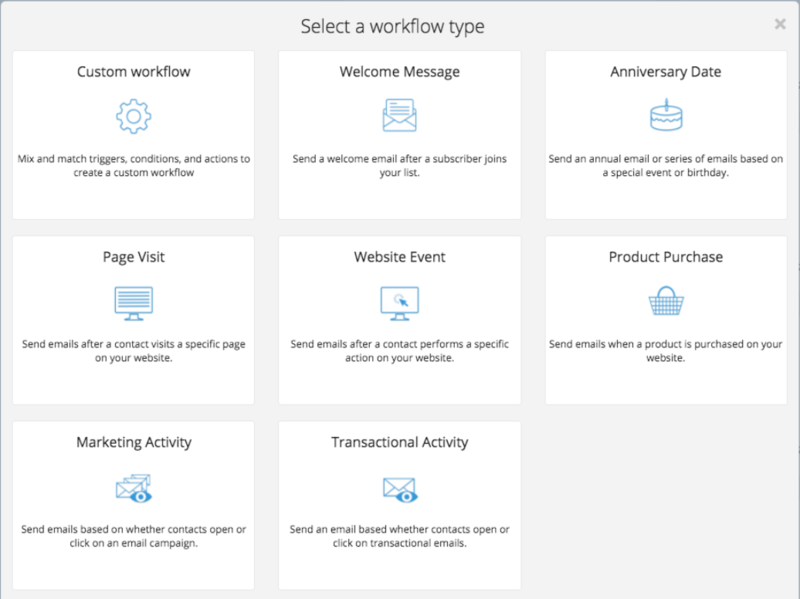 SendinBlue Automation is SendinBlue’s new Marketing Automation solution. Welcome scenario: send a series of emails after a subscription or purchase. Anniversary date: send a special offer to your users on their birthday or on the anniversary of the date they subscribed to your website. Lead activation: send a series of emails based on the behavior of your website users and their reaction to your emails. Abandoned basket: send a reminder to potential customers after X days of them adding an item to their basket without ordering it. Email data upload (without any prior installation): SendinBlue Automation is fully integrated into your email and transactional email (SMTP) campaigns. More specifically, you can use your email openings and clicks to launch a scenario or add a condition. There is no installation to worry about – everything is automatically uploaded to SendinBlue Automation. Contact profile data upload (without any prior installation): all the contact attributes you have by default or have added to SendinBlue can be used in your scenarios. For example, you can segment within a scenario based on a category or date. The Automation script records all of your website visitors via a cookie. The actions of your website users are then recorded by SendinBlue Automation if the visitor is identified as a SendinBlue contact. The actions of users who are not identified as SendinBlue contacts are not recorded. The aim is to identify your contact, which can be managed using the "call identify" function. If you want to go further, you can also set up a complete tagging system including custom events (track events) to launch a scenario based on a particular action. We suggest that you browse the features and options of this new solution before getting started. SendinBlue Automation is designed to meet everybody’s needs. Start off with preset workflows and customize them according to your needs for an advanced communication strategy. There are two types of workflow available: preset workflow templates and advanced (custom) workflows. You can also use custom workflows to build a workflow to suit your requirements. These workflows enable you to define your own entry points, actions and conditions. To take it even further, check out our B2B website case study and take advantage of the behavioral data available by using a tagging plan to send messages after your contacts have undertaken specific actions. The uploaded data can be used to factor your visitors’ behavior into your workflows! 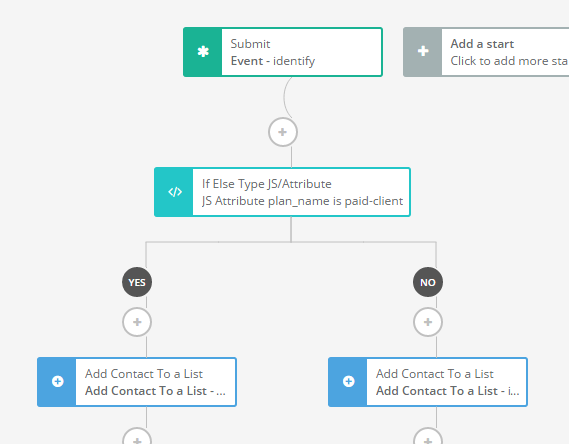 Read our API documentation to find out how to integrate custom events into your website. We support a number of different languages including php, Python and Java. To go further still, we explain how the data is uploaded to SendinBlue. Thanks to the comprehensive, real-time statistics available on your sent messages and scenario entries and exits, you can constantly improve your communication strategy.